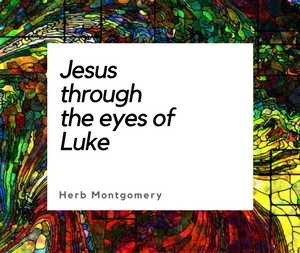 I would like to continue exploring Jesus’ interaction with the Pharisee in Luke chapter 11 this week. In looking at these passages again, I honestly cannot tell you how many weeks we will be looking at this passage, but I see at least a couple more weeks ahead of us. These passages were some of the passages that God used to turn my world upside down and I feel that it’s time to share them with you! For this week, lets just start up again where we left off. Last week I shared with you that there were three reasons that I felt that religious systems that place a greater emphasis on external, outward, performance-based behaviors than on what is truly taking place in people’s hearts are spiritually damaging and relationally destructive. This week, I would like to take the time to focus simply on the first of those three reasons. When we belong to a system that places a greater emphasis on the outside of a cup than it does on the inside of the cup, points are awarded within that community or fellowship for how well you perform. You receive points based on how well you appear to have things together. Points are awarded for how well you “look.” Inevitably, the greatest number of points are given to those who are able to pretend the best! Points end up going to those who are the best play actors, to those who put on the best “show”, to those who are the best at faking it. No one get’s real. No one get’s whole. No one receives genuine healing. And the reason this is so dangerous, is that if you do happen to pull back the thin veneer of these types of systems, you’ll find all types of very sick dysfunction going on just below the service, but no one is allowed to really talk about it. There are all kinds of unspoken “no talk” rules, because we are the people of God and we are supposed to be holy, blameless, and righteous! We must LOOK perfect! But people in these systems are still genuinely struggling, but they are afraid to talk about it. This in turn makes them feel as if they are alone, too many times they think they are this only ones struggling. This is exactly why Jesus warned us so passionately in this very same context of Luke 11 (Luke 12): “Beware of the leaven of the Pharisees, which is hypocrisy.” It destroys the kingdom Jesus came to establish from the inside out, undoing all the leavening that the Gospel is endeavoring to do, because no one can stop for a moment and just be honest. Everyone is in denial, and true “confession” or honesty about your religious community’s faults becomes relegated to a cliché. True growth, healing and transformation can never take place. The word Jesus uses here for hypocrisy is: hupokrisis, which means “play actor.” It was the word used for those who performed in the Greek theater. It specifically refers to those who have two faces, two tongues, and two hearts; those who are being two people. You see, in a religious system that places a greater importance on outward conformity through external behaviors than on the transformations God wants to make in peoples hearts through the revelation of his love, things quickly become a pretense. Everyone begins to hide. No one feels safe letting his or her hair down. Relationships become conducted at arms distance. No one really enters into community, where we actually begin to know and love each other. I know this may sound scary if you have only experienced an “outside of the cup” religious system, but to be truly “known” and unconditionally “loved” is what we were made for, and it’s beautiful when you genuinely experience it. (I’ll write more on this next week, as it’s rooted in the second reason I believe that an “outside of the cup” focus produces something religiously dangerous.) In an “outside of the cup” religious system, each person begins putting on what has sometimes been referred to as his or her “church face,” whereas in their real lives they are different people entirely. This is nothing less than duplicity. It’s being two different people. Jesus calls us not to be duplicitous, but to be authentic! And to begin that authenticity by letting Him open our hearts to see what’s in His heart for us. And to provide an environment where people don’t have to pretend, but where they feel safe enough to be authentic. You see, this produces a religious community that is quite different. A religious community that is free from pretending or pretension. A religious community that is honest, and that accepts people wherever they are at, without undermining the life-transforming power of God’s love. If I could have you ponder any question this week, it would be this: do we really trust that when we begin focusing on the inside of our cups, we won’t lose the cleansing of the outside too? Do we truly understand that through this process, the outside truly and authentically becomes clean from the inside out? This is what I share in my book Finding the Father, which has resonated with so many. Our outward behavior is determined by our inward thoughts and feelings, which are determined specifically by how we see God, or, in other words, by our picture of God. What we believe God is truly like. This is why Jesus largely ignored the outside of people’s cups, choosing instead to focus all of his attention on having them see the Father in their hearts. This is also one of the many reasons we are called, as followers of Jesus, to give the last message of mercy to this dying world, as a message that is the revelation of God’s character of love. Both the “outside of the cup” religious system and the “inside of the cup” religious system produce fruit. We can recognize the type of system that we follow by the kinds of fruit that are produced. May we all create environments in which people are accepted as they are, as well as enabled and equipped to be radically transformed from the inside out by the power of that very acceptance. Keep living in love, loving like Christ, and building the kingdom.